You should really spend some time to study the settings. 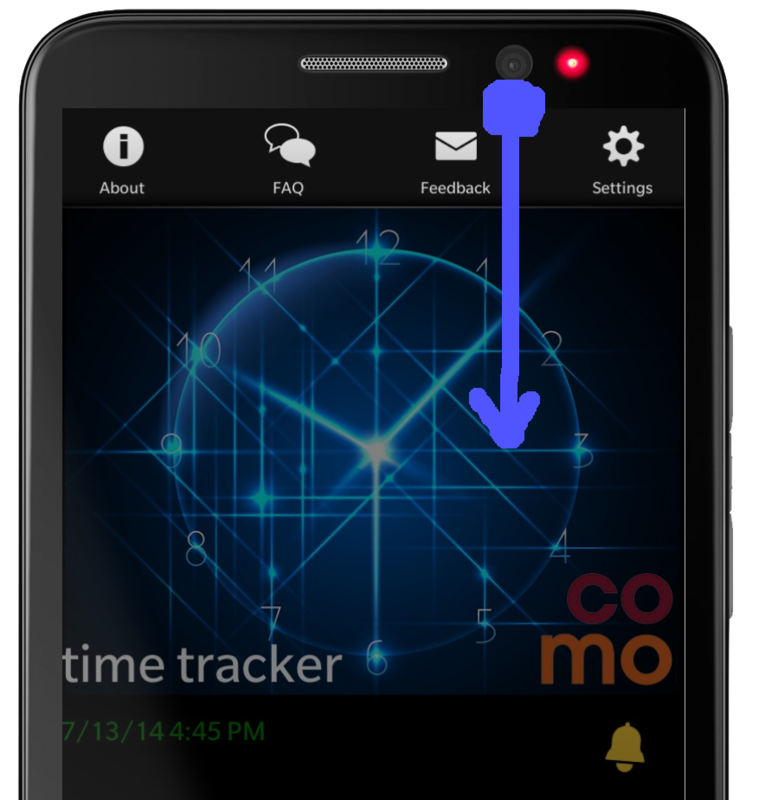 TimeTracker can be configured in very different ways. If you’re running the Personal Edition it’s up to you to do the right settings. 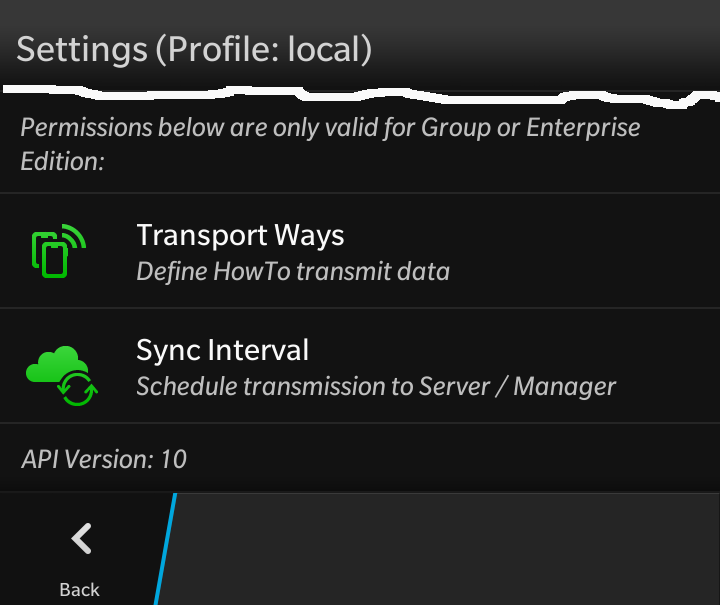 If you’re running the Group or Enterprise Edition your Group Manager or IT Admin will create some profiles and send out to the devices. In this sample you see the ‘Personal Edition‘ is in-use and the Profile is a ‘Local profile’ – so you can edit all Settings by yourself. If a ‘Remote Profile‘ was injected, you can only enter your name. As long as you have opened the Settings you cannot swipe down again – the Application Menu is blocked while editing. There are different ways to implement ApplicationMenus – I’m using a NavigationPane. imageSource: isDirty ? "asset:///images/ic_upgrade.png" : ""
before writing values back I always call a function to validate the data. I’m storing my settings in a JSON file inside data folder in secure sandbox. You can also use QSettings to do this, but from my POV it’s easier to deal with JSON for complex Settings as used here for TimeTracker. From Pages pushed on top of NavigationPane you can ‘peek back’ to see what’s below this page and this also allows you to go back by swipe-from-left-to-rigth. As soon as the Page becomes dirty I want to disable peeking to avoid going back without deciding to save or cancel. This way I’m getting same behaviour as from Sheets, where I also cannot close by swiping. if nothing changed, user can go back by button or swipe. From the Menu below you can go into the details of each section. Some of the Settings are only working well if Permissions are set. 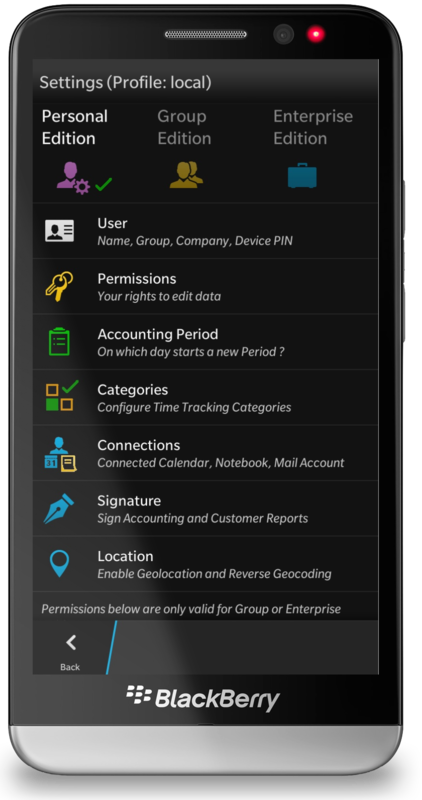 Learn more about TimeTracker APP Permissions here.